Choosing a dental insurance plan can be stressful. There are lots of different providers, each with its own unique coverage offerings and terms. How do you know if you’re getting the coverage you need? The insurance search is also complicated by the fact that almost no insurance providers detail their coverage plans in plain language. Every plan needs to have a “heretofore”, a “force majeure”, and a “COBRA statement”. These jargon terms convey important information that is easily understood if you work in the insurance industry – but for lay people, it’s a completely different language. So what do these common insurance terms mean, and what impact do these clauses have on your dental coverage? Here’s what you need to know. Most dental insurance plans contain a clause outlining the nature of the procedures covered. When you choose your insurance coverage, you’ll likely be given a choice between plans that cover basic services, basic comprehensive services, or major services. What does all this mean? In most insurance plans, “basic dental services” refers to minor dental procedures that can be performed in your dentist’s office. Basic services typically include procedures like fillings, extractions, root canals, root planing, and dental sealants. Other major services categories include preventive services (like cleanings, x-rays, and fluoride treatments) and major services (like bridges, dental implants, dentures, crowns, and complex oral surgery). Copayments and deductibles are fixed dollar amounts that insurance plan members are required to pay before their dental insurance covers any costs. While both require you to pay for some of your coverage, they operate in slightly different ways. 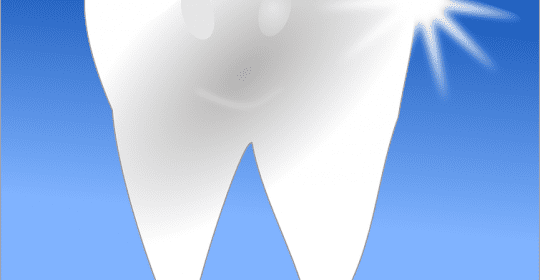 A copayment is a payment that you make at the time you receive dental care. It’s expressed as a fixed percentage of your costs. So if you have a 20% copay and your procedure costs $500, you’ll be responsible for paying $100, while your insurance will cover $400. You make a copayment any time you receive dental services, and the amount never changes. A deductible is a minimum amount of money you have to spend on dental care before your insurance covers your procedure. Deductibles usually roll over every year. If you have a $500 deductible, for instance, your insurance provider will require you to pay for the first $500 of your dental care costs each year before providing you with coverage benefits. After you’ve reached your deductible, your insurance provider covers your agreed-upon percentage of costs until you reach your annual coverage limit. If your Tucson dentist recommends a complex and expensive procedure, your insurance provider may require you to submit a predetermination. A predetermination is a recommended treatment plan that your dentist drafts for your provider to review. Your insurance provider will have a medical consultant review the predetermination and decide whether or not the proposed treatment plan is appropriate for your medical needs. After the predetermination review, your insurance provider will decide whether or not to cover the procedure. Some insurance providers require predeterminations for procedures like dental implant surgery. Dental insurance is a complex and confusing field, and there are several different coverage terms that may impact your eligibility for certain dental procedures. Your local Tucson dentist can help you to understand these terms and determine the best course of treatment for you. To learn more about dental insurance or to schedule an appointment with Dr. Badie, call Badie Dental at (520) 433-9800.